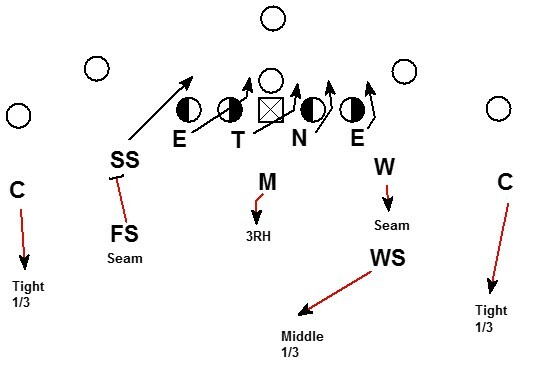 This post is a follow up to the previous post about an adjustable 4-2-5 fire zone blitz. 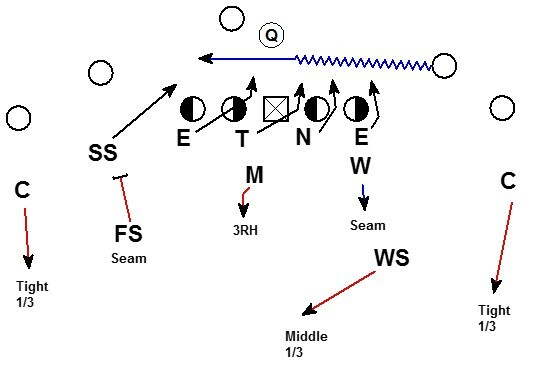 This blitz can be easily adjusted to get the blitz where ever the defense wants to apply pressure. The concept could easily be used in a 4-3 defense as well. 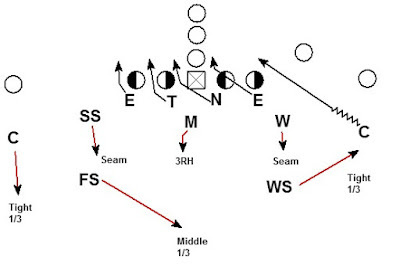 The SS or Corner will blitz based on where the tag sets the blitz. This blitz is only run on a hash. 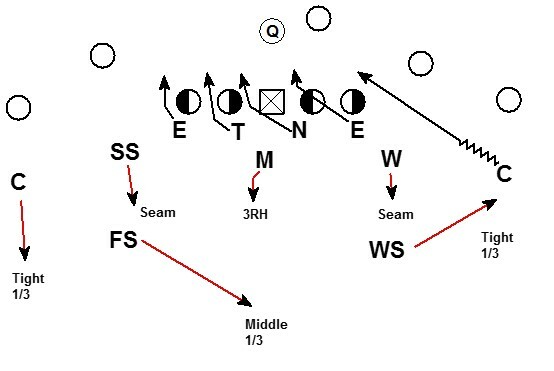 FS sets the direction of the blitz with a Right/Left call. In the above example a "Left" call. 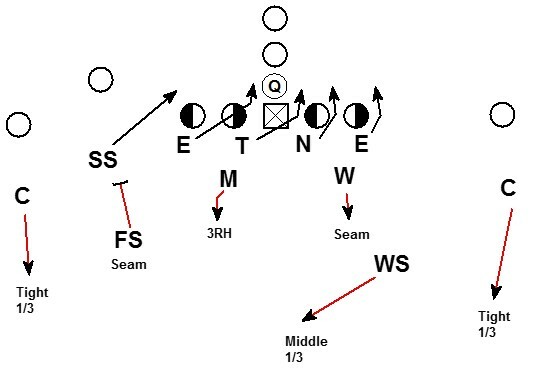 SS - To the call = edge blitz. 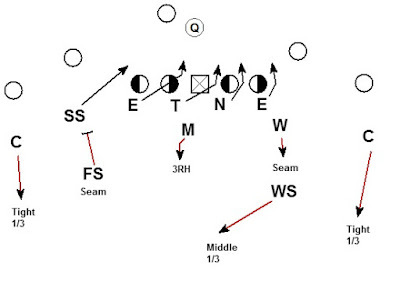 This blitz can be either a contain or a spill by game plan. Call DT - 2i Alignment, Long stick to opposite A gap. Read the Center. Away DT - 2i Alignment, Slant to B gap. 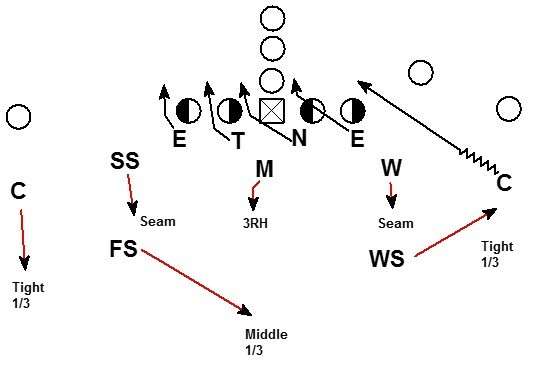 FS sets the direction of the blitz with a right/left call. In the above example a "Right" call. 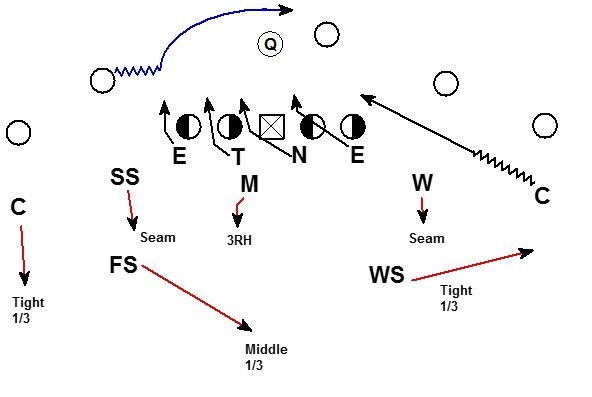 Boundary corner - To the call = edge blitz. 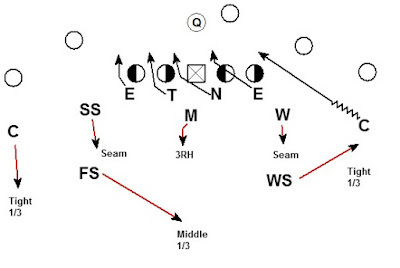 This blitz can be either a contain or a spill by game plan. 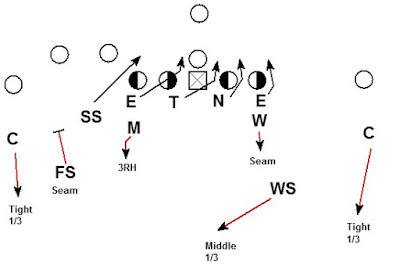 The blitz easily adjusts to 3x1 or 2x2 formations. Against 3x1 the Mike can bump to an alignment to drop off of the #3 receiver. Against a 2x2 the Will can bump to handle the Seam drop on #2. FS makes a Left call to the back. 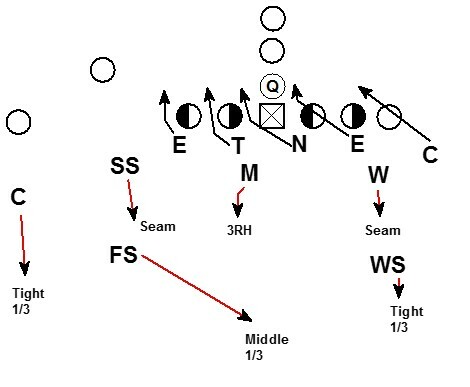 SS is the blitzer and the Corner is in coverage. FS makes a Right call to the back. Corner is the blitzer and the SS is in coverage. FS makes a Left call to the TE. SS is the blitzer and the Corner is in coverage. FS makes a Right call to the TE. Corner is the blitzer and the SS is in coverage. The blitz is going to the Motion. No Motion = Strong. 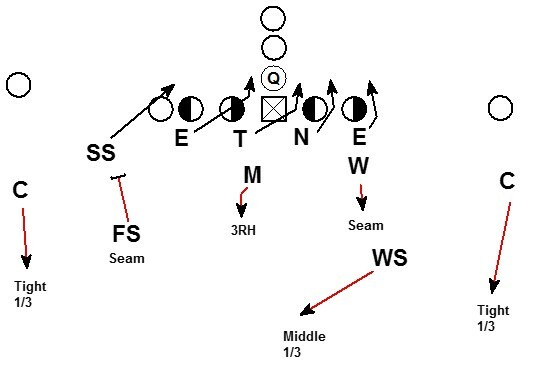 This blitz is good vs. jet sweep and orbit motion teams. FS makes a Left call to the Motion. SS is the blitzer and the Corner is in coverage. FS makes a Right call to the motion. Corner is the blitzer and the SS is in coverage. This type of blitz is simple for the defense but very multiple. 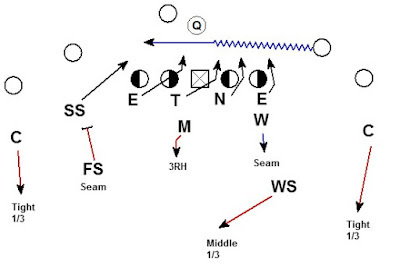 By adding a new tag word the defense can change where the FS will make the right/left call and get the blitz anywhere the defense want to pressure.